Yes, kids, that’s how the old song starts. 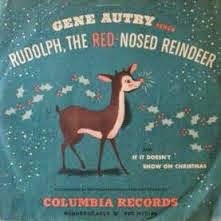 Of course, we all know that Rudolph had (and continues to have) a red nose, but most people don’t how just how shiny it really was. You could say it glows. You could also say that a searchlight glows, or a five-alarm fire glows, or the sun glows. Take it from me, kids, glows doesn’t begin to cover it. I’m sorry to say, things did come to a point where most of the other reindeer teased him mercilessly. But the truth is, Rudolph’s nose shone so brightly that it was physically difficult to be around the little guy. His nose wasn’t just a nuisance to the other reindeer, it was downright hazardous. Why, his own mother and father had to wear welding masks just to put him to bed at night. The others couldn’t even get close enough to talk to him without risking permanent damage to their eyes. No one could understand how a reindeer’s nose could be so infernally bright, and some of them thought it was just plain unnatural. A few were afraid of him. Well, just imagine trying to play a game of football or soccer when Rudolph was around. Always losing the ball in the glare of Rudolph’s nose, or having everything go dark whenever he moved his head suddenly, or had to blow his nose. The rate of injury among reindeer skyrocketed. Playing was simply out of the question. It was the blizzard of 1882, to be precise. It was a freak storm, which caught the elf weather forecasters completely by surprise. Not that they could have done much about it, had they seen it coming. It was a booger of a storm. Santa, who has a well-deserved reputation for stubbornness, wasn’t about to let a little snow and ice and howling wind (oh yes, and perhaps some fog, too) derail him. He was determined to deliver those gifts, or die trying. Interesting fact: Using Rudolph’s nose to lead the way was actually Mrs. Claus’ idea; she was one of the very first animal-rights activists and founder of PETAA (People for the Ethical Treatment of Arctic Animals). She was very worried for the safety of the reindeer. Unlike most of this song, this is exactly what Santa said, verbatim. I don’t know where the songwriter got his information, but it’s accurate. Eerily accurate. Actually, it took a bit longer than that, a couple of years anyway. Some of the reindeer took a wait-and-see attitude, while others didn’t think it right that they were being asked to change their deeply-held beliefs at the drop of a hat. And some continue to hold a grudge to this very day. But those reindeer are a small minority now, and no one talks about them. Unfortunately, contrary to the song’s lyrics, Rudolph struggled in anonymity for many years after that fateful Christmas Eve. Though he was slowly accepted by the small community of North Pole reindeer, the wider public only knew about the eight older reindeer: Dasher, Dancer, Prancer, Vixen, Comet, Cupid, Donner, and Blitzen. 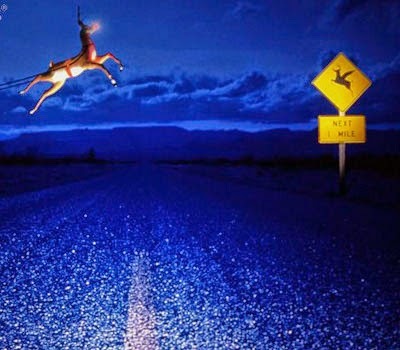 It wasn’t until 1939 that people first became aware of Rudolph’s difficult childhood, and his pivotal role in assuring Santa’s arrival every year (prior to Rudolph, even on clear Christmas Eves near-misses with mountains, airplanes and tall building were a frighteningly regular occurrence). Finally though, his story was brought forth by Robert L. May (Oprah hadn’t been invented yet). Ten years later, in 1949, it was turned into the familiar holiday song we all know and love. But, as a testament to the slow march of progress, Rudolph continues to be a controversial figure. At last count, 62 countries and 5 states (mostly in the south) have not officially recognized his existence. Kids, I think the natural inclination here is to come down hard on those other reindeer. But we shouldn’t forget that the vast majority of them were, in every other way, good, decent, hard-working reindeer who meant well and wanted to do the right thing. They were dealing with a very difficult situation, one that they really didn’t understand. Accepting something one doesn’t understand is very hard, even for reindeer, who are naturally very open-minded creatures. In the end, they really only made one mistake, but it was a very important one. 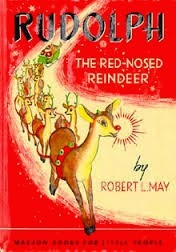 They forgot that though Rudolph was indeed Red-Nosed, he was always a reindeer.